John Marcum (right) hands Iggy Katona his championship hardware. 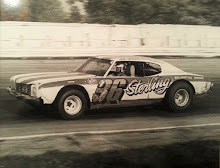 Katona was a six-time ARCA champion. Talladega, Ala. (June 18, 1970) – John Marcum, the amicable president of the Automobile Racing Club of America (ARCA), is known on sight to just about every race fan who’s clicked a turnstile to watch the new model stock cars of ARCA do battle on a track in the Midwest. Big John’s been praised and cursed. He answered a promoter’s dream and created a few nightmares. 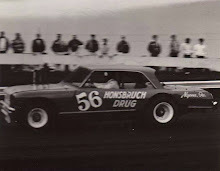 He’s been a Godsend to struggling young drivers, a demon to a few hot dogs, and a boot to the sport of speed in general. Marcum’s been called every name in the book, made money, lost money .and somehow does it all with a smile on his face and an outstretched hand. When it comes to putting on a show for the fans, Marcum puts P. T. Barnum to shame. He’s spent the last 42 of his 56 years involved with racing. He knows what racing’s all about, and he learned the hard way. 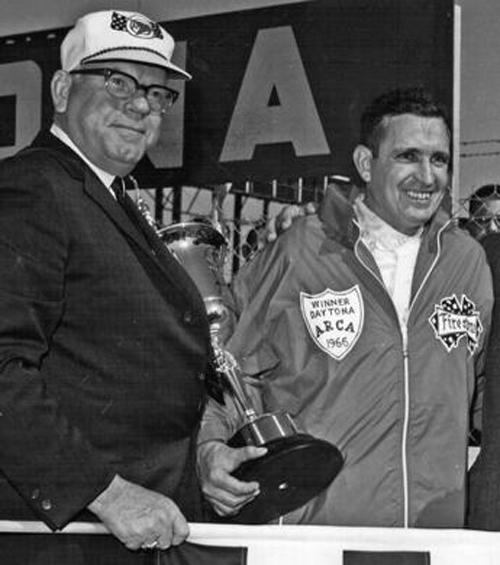 Jack Bowsher (right) was a three-time ARCA champion. He's shown here with John Marcum at Daytona in 1966. “I first met France at Daytona Beach back in 1936,” said Marcum. “I was driving a ’34 Ford roadster and I can’t remember what Bill was in. Those were the days; we wore a cloth helmet then. I remember I wasn’t scared of getting hurt in the race as much as I was of getting bit by a rattlesnake. 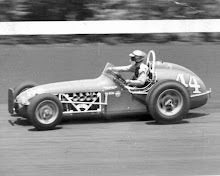 Marcum worked with the All Star Racing Association until 1948. In 1949, John went south once again to work for, not race against, Bill France and his new NASCAR organization. 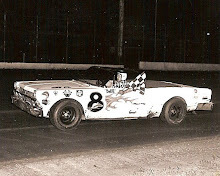 In 1951 Marcum left NASCAR and came back to his home in Toledo am formed the Midwest Association for Race Cars (MARC). 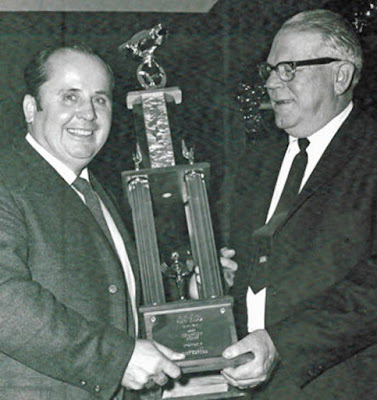 Frank Canale, who was the All Star champion in ‘49, came with Marcum a chief scorer and vice president and he’s been with John ever since. 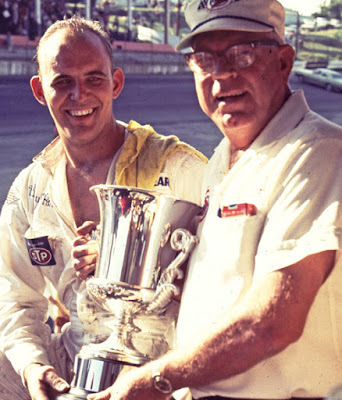 Benny Parsons accepts the trophy from ARCA president John Marcum after winning a race at Dayton (Ohio) Speedway in 1968. 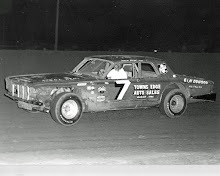 One of the oldest stock car racing events in the country is the annual Dayton 500 held at the Dayton, Ohio Speedway. John Marcum is as colorful as the sport and organization he represents. He gives himself to the sport 24 hours of every day. Few people work as hard for racing’s participants; none work harder. They threw away the mold of John Marcum. He’s one of a kind.